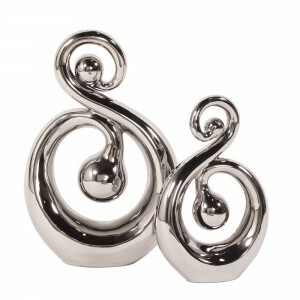 This ceramic sculpture is fashioned to resemble a musical treble clef. Its graceful shape definitely creates a serene movement for the eye. Finished in a brilliant nickel place.